In this disruptive world in which we live, you can literally be on top of the world one year and plunging off a cliff the next. The action-adventure video camera maker reported earnings Wednesday and in the words of the headline writer at USA Today, “missed by a mile.” Investors were expecting a profit of three cents a share. Instead, the company lost eight cents. The company's stock had already been on a downhill ski run for weeks, but it fell below $10 a share in after hours trading after a 52-week high of $65. Over the last month, GoPro stock is down 43%. When we made our list of the hot holiday gifts in December 2012, the GoPro Black Edition was in a prominent spot. It was an HD video camera that could go anywhere -- strapped to your head, your car's dash, or your bicycle handlebars. The GoPro was incredibly cool because of what you could do with it. It was a way to make videos you could never do with a 1980s video camcorder. Smartphone cameras were no threat to it because no one was going to strap their iPhone to their helmet and jump out of an airplane. While it is too early to write off the company or the product, it may be facing the same danger other technology has faced. Something else comes along and captures consumers' fancy. In the case of GoPro, it may not be another product so much as maybe most of the outdoor adventure types have already bought one. That may explain this recent GoPro television commercial, which is a departure from previous marketing that emphasized people shooting rapids or skydiving. Instead, the camera is strapped to the front of a sled, while a dad takes his young child sledding down a hill. Having started to run short on thrill seekers, perhaps GoPro is seeking that most traditional of video camera markets – the family. In the earnings statement, GoPro CEO Nick Woodman said growth slowed in the second half of 2015 and the company understands that it needs to develop software solutions to make it easier for customers to offload, access, and edit their movies. As we reported back in August, a new company is already doing that. The makers of a new video camera, Graava, hope to capture the action-camera niche. 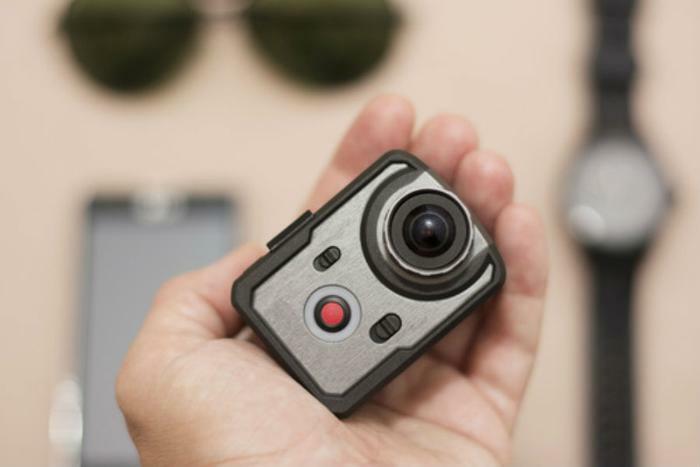 The camera is small and can attach itself to objects like GoPro, but it can also edit its own footage. Since August we haven't heard much about the company or it's product, but the company Facebook page shows it's hard at work, and it may be about ready to hit the market. Disruption, it seems, is the new normal.